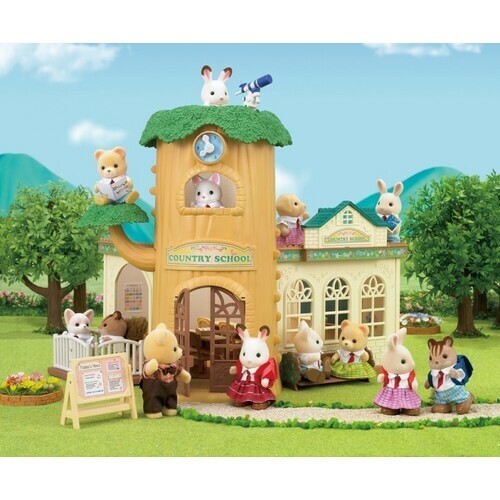 This great value bundle pack contains the Sylvanian Families Country Tree School, School Friends Set, School Lunch Set and the School Music Set. 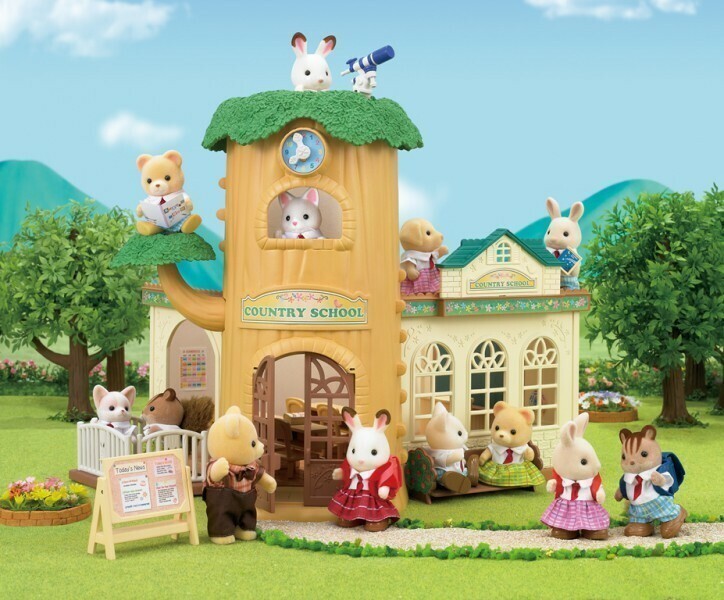 The Country Tree School is such a fun school! Whilst there is a classroom which comes furnished for lessons for up to 6 Sylvanian children, complete with 6 seats and desks, the teacher's desk and whiteboard, there is also a tree to climb in breaktime! 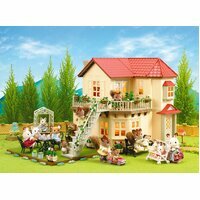 A balcony overlooking the beautiful Sylvanian scenery provides the perfect platform for pupils to get inspired for their art lessons or spot some wildlife. For any little star-gazers, there is a telescope fitted to the roof which can also be connected to the tree for a better view. Finally, there is also a bench for your little Sylvanians to relax after many hours practising their sums and ABCs. The set includes 1 school, 1 tree, 2 desks, 6 chairs, 1 teacher's desk, 1 whiteboard, 1 bench, assorted accessories. 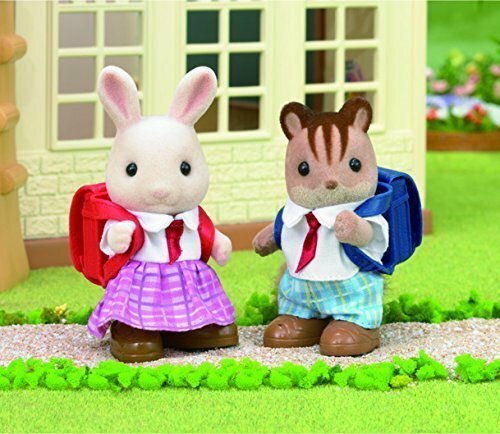 Looking adorable in their uniforms which comprise brown school shoes, chequered bottoms, a white shirt, red tie and rucksack, Rebecca Milk Rabbit and Ralph Walnut Squirrel are all ready for the walk across the meadow to the Country Tree School! 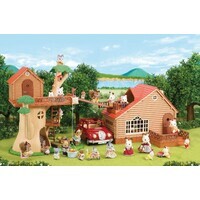 This set includes Rebecca the Milk Rabbit Girl and Ralph the Walnut Squirrel Boy. 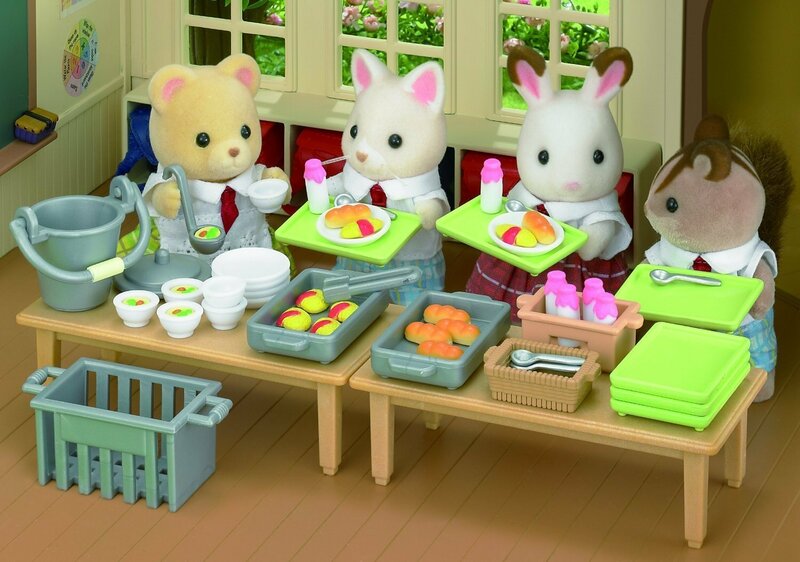 Andromeda the Bear Girl has been hard at work in her frilly apron serving some yummy lunch for the Sylvanian school children! 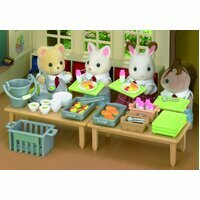 The School Lunch Set comes complete with a pot of stew, 6 scrummy omelettes, 6 pieces of freshly-baked bread and 6 milk bottles to keep their bones nice and strong. 2 sturdy tables and assorted crockery and cutlery is included. This set includes Andromeda the Bear Girl. Freya Chocolate Rabbit absolutely loves her music lessons at school. 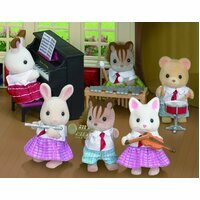 With this set she can practise playing the piano, xylophone, drum, violin, flute and trumpet. 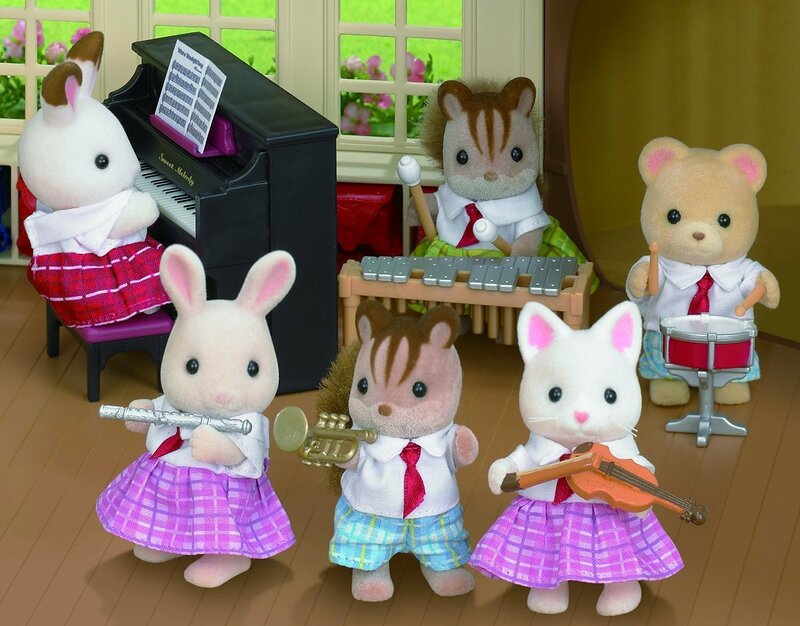 With so many instruments included, there's no reason you can't teach a whole herd of Sylvanians to play an instrument! 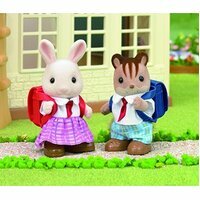 This set includes Rabbit Sister Freya Chocolate dressed in school uniform.